They say with great (celebrity) power, comes great responsibility, and these seven stars have embraced their platforms wholeheartedly. From UNICEF Goodwill Ambassadors, to founding their own foundations and charity organizations, these seven stars deserve their time in the spotlight for their humanitarian efforts and dedication to doing good. We all recognize this man as a movie star, but did you know that he’s also a UNICEF Goodwill Ambassador? Last May, Bloom visited children in Eastern Ukraine to draw attention to the education crisis brought on by the war. After visiting the European country, Bloom told UNICEF Media of the hardship he witnessedת and how the local children told him that all they wanted was to get back to the safety and routine of school, and plan for their futures. The actor was also the first celebrity to visit Libya following the Ebola outbreak, making him one of the biggest stars committed to goodwill. 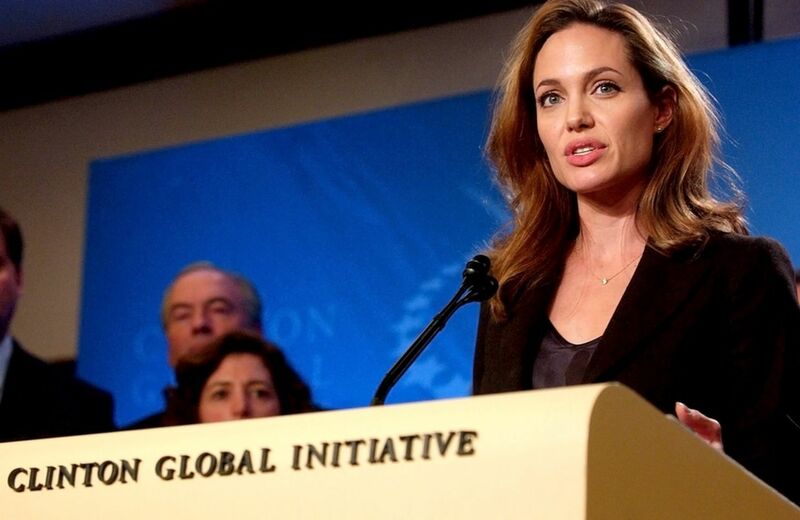 One could easily write 100 articles about the contributions this actress, mother, and humanitarian has made to the world and its citizens, but instead, here’s a quick snippet of her commitment to doing good: In 2001, Jolie became a goodwill ambassador for the United Nations High Commissioner for Refugees, where she visited people in war torn countries such as Iraq, Sierra Leone, Syria, Afghanistan, and more. In 2013, the actress was awarded the Jean Hersholt Humanitarian Award for her dedication to helping displaced people and victims of sexual violence. The Hollywood star also founded the Maddox Jolie-Pitt Foundation, which helps end poverty, protect the environment, and provide health care and education opportunities to Cambodians. Her commitment to ensuring that all children - regardless of their location - receive an education, providing aid to those affected by natural disasters and war, and serving as a voice for refugees, is inspiring to say the least. The philanthropic actress is saving the world, one child at a time. While everyone loves Beyoncé for her incredible voice, her humility, and her flawless style, her philanthropic efforts deserve admiration most of all. For her Formation World Tour, Beyoncé partnered with three charities: Chime for a Change, Global Citizen, and United Way Worldwide to encourage fans to seek out ways they can help others in their hometowns or adopted cities. 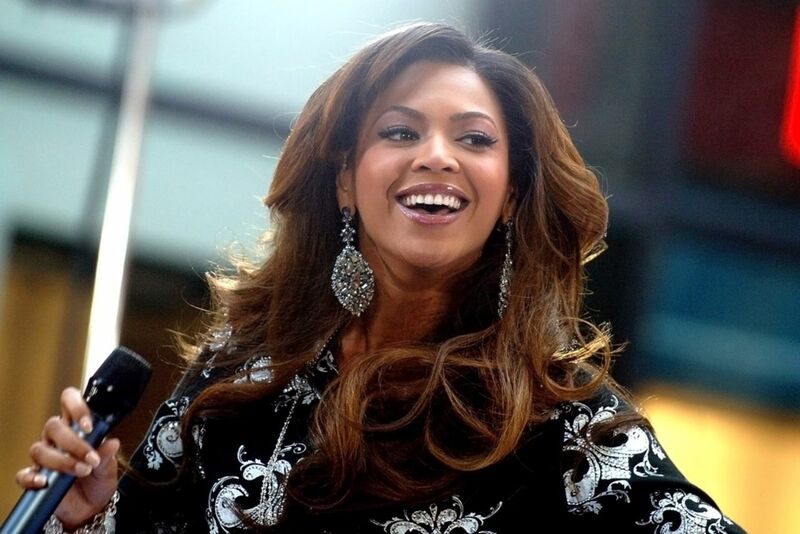 The singer also quietly donated more than $7 million to the Knowles-Temenos Place Apartments, which houses homeless men and women, administers HIV/AIDS tests, meals, and equips residents with job training. During her On The Run Tour, she donated $1 for every ticket sold to the Shawn Carter Foundation, an organization that provides education funding for low income families. And she - along with the other members of Destiny’s Child - also helped found the Survivor Foundation, a community outreach facility in Houston. Beyoncé and her efforts to help humanity are truly irreplaceable. 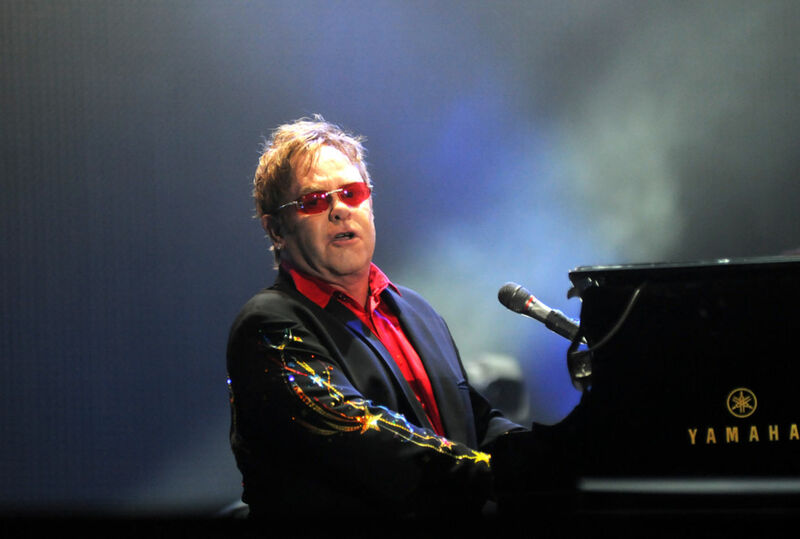 Elton John’s is one of the most charitable celebrities in the world, a title which stems partially from the Elton John AIDS Foundation, which was created after the entertainer lost more than a few friends to the disease. To date, the organization has raised more than $125 million for those infected with the virus. His foundation isn’t the only place where he’s bettered the lives of many - he’s also a huge supporter of the Children’s Tumor Foundation, the Race to Erase MS, American Foundation for Equal Rights, the Trevor Project, STOMP Out Bullying, The Breast Cancer Research Fund, the Rainforest Foundation Fund, Oxfam, Project Angel Food, the Food Bank for New York City, and many more. One of his most well known contributions came after the death of his close friend Princess Diana. To pay tribute to her life, Sir Elton John rewrote the lyrics to Candle in the Wind and donated the proceeds (all $47 million) to the Diana, Princess of Wales Memorial Fund, a humanitarian organization that serves people from all over the world. It’s safe to say many people are feeling the love tonight (and every night) from his generous contributions. Eva Longoria is so much more than just a ‘desperate housewife.’ In 2013, Longoria was honored with the Dorothy I. Height Racial Justice Award, by YWCA USA, one of the largest non-profits focused on eradicating racism and improving women’s lives everywhere. The star also founded Eva’s Heroes, a San Antonio based nonprofit that helps young adults with special needs. The Latina has worked tirelessly to raise money for the Friends of the American Latino Museum and for the Hispanic community over the years, and she’s not slowing down anytime soon. She’s supported dozens of charities ranging from the Make-A-Wish-Foundation and UNICEF, to the LEAP foundation. Since 2005, the actress has served as the spokesperson for PADRES Contra El Cancer (Parents Against Cancer), a nonprofit that helps Latino cancer patients and their families gain access to educational, language, and financial resources. While she nabs plenty of silver screen credits, off screen she’s plenty committed to her other passion, philanthropy. The Grammy winning artist gives his all to the Show Me Campaign, the nonprofit organization (founded by the artist) that strives to end poverty in the United States through education. 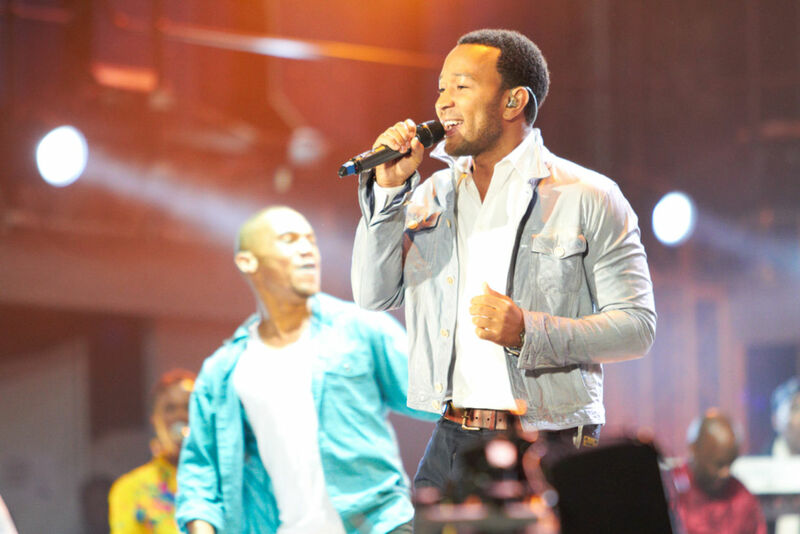 The 2013 event at his home in Hollywood Hills, California, raised more than $200,000 for the organization’s education programs through live auctions and performances by the singer and Stevie Wonder. The campaign also works out of Africa to lessen poverty in villages across the continent, giving millions of people access to mosquito nets, free meals, fertilizer, and clean water. The “All of Me” singer has raised awareness by creating an ad for Gap’s (Product) RED campaign, which donated the money to the Global Fund. And in case you needed some motivation, at 15, John wrote an essay about his dream of becoming a recording artist and raising awareness for social justice issues. That dream would later be fulfilled through the Show Me Campaign. Scarlett Johansson may be a Hollywood siren, but her beauty isn’t her best asset. The star has a long standing history of donating to charities, raising awareness for various causes, and serving in leadership roles for multiple foundations. Amongst those leadership roles was an eight-year run as an Oxfam ambassador. She even skipped out on the 2007 Oscars for a trip to India and Sri Lanka for her partnership with the confederation that helps to eradicate poverty. Just one year later, the actress traveled to Rwanda where she spent time working in AIDS clinics and learning about the RED initiative to help increase awareness for the virus. In addition to her efforts with Oxfam and RED, Johansson also supports Soles4Souls, which helps fight poverty through the donation of clothing and shoes. In fact, the actress herself has donated 2,000 pairs of new shoes for the nonprofit - a figure just as impressive as her decades spanning commitment to helping others.